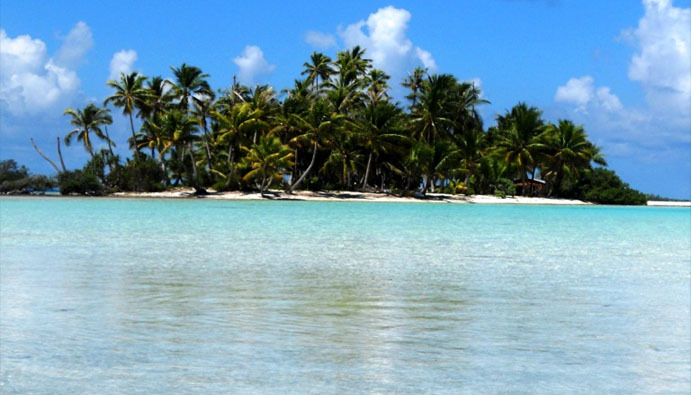 The Beach Bungalows enjoy a prime location, facing the crystal clear lagoon of Rangiroa. 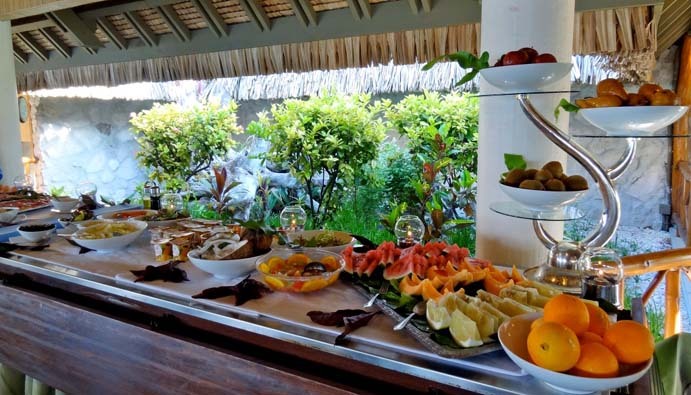 All have a private outdoor jacuzzi surrounded by a deck overlooking the lagoon. 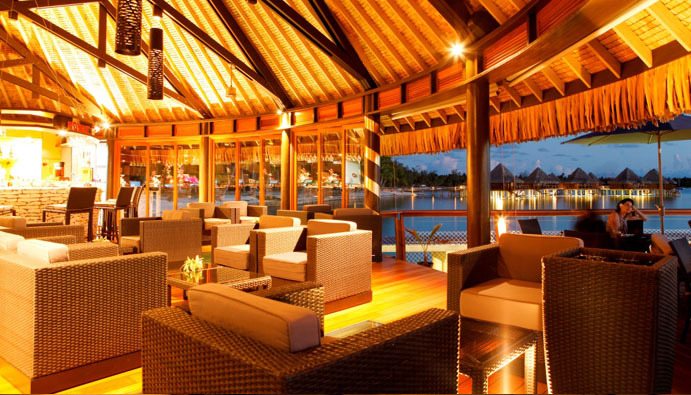 The interior has been refreshed and retains the original Polynesian style of the hotel (wood furniture, local handicrafts). 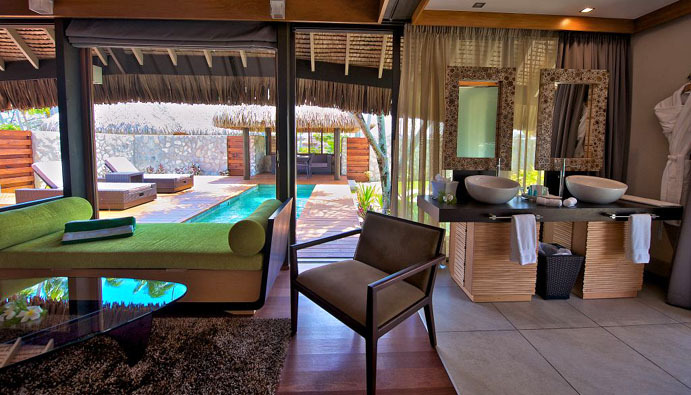 One bedroom and one living room, both open to the terrace on lagoon side, and to the bathroom on the garden side. 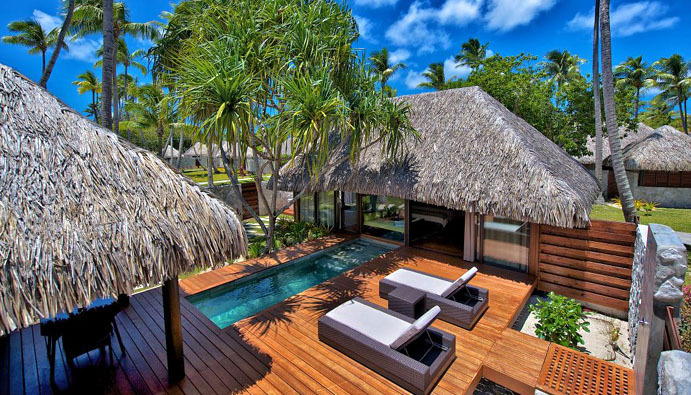 Polynesian style duplex, located on the beach. The upper floor houses an elegant king-size bed, enjoying breathtaking views of the sea. 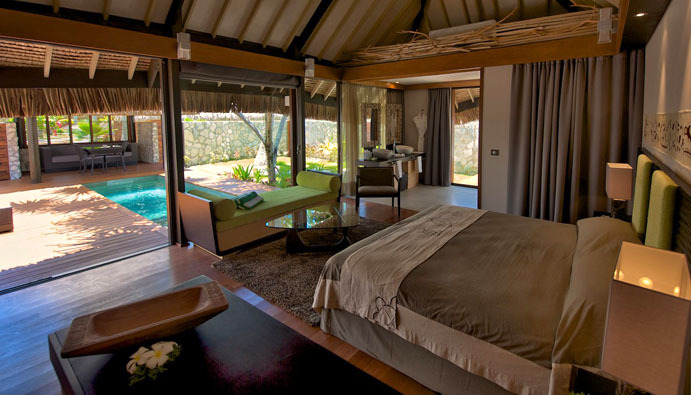 On the lower floor, the bathroom, a second bedroom and the living room open onto a private terrace with private jacuzzi. 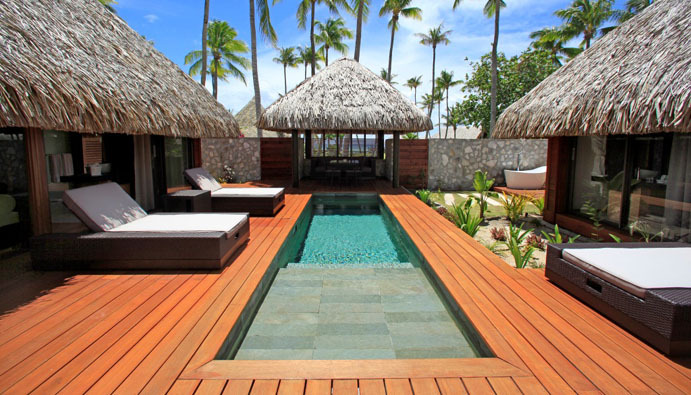 This category facing the lagoon, combines polynesian with sophisticated style and features a nice infinity private pool on the terrace. The room and bathroom are separated by frosted glass panels and carved wood. All around the room, murals with soothing colors, representing ancestral Polynesian motifs, add a touch of warmth. 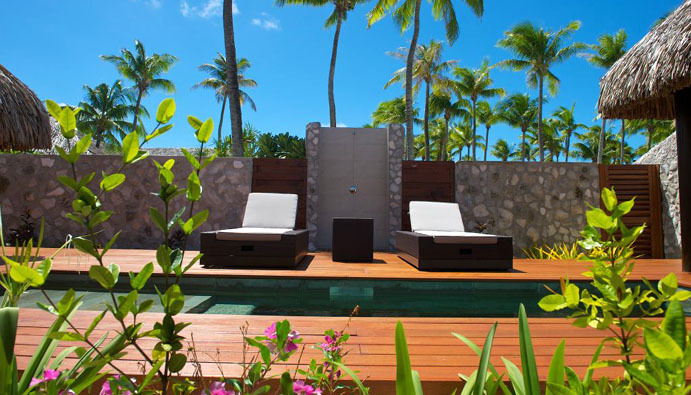 Behind the bungalow, a coral wall has a flat open-air bathtub lined with tropical plants. Very pleasant & intimate category totally redecorated in a modern style. These units are now featuring a large private garden with long pool, and a “fare pote’e” for outside dinner. The room and the bathroom are both very spacious and luminous. 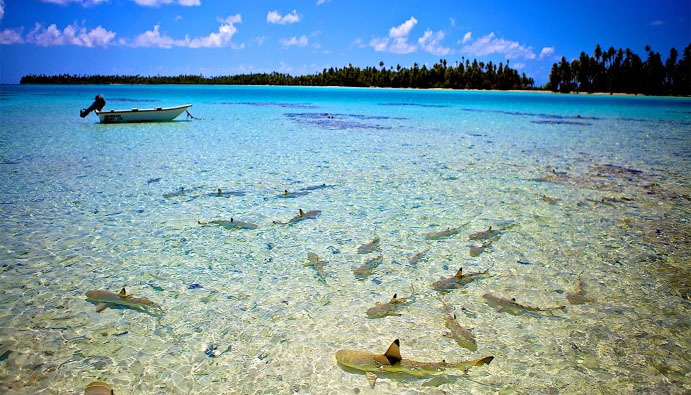 The Overwater bungalows are the best place to enjoy the multicolor fauna of Rangiroa lagoon. They feature a large terrace and sundeck for a total bungalow surface of 74 m². 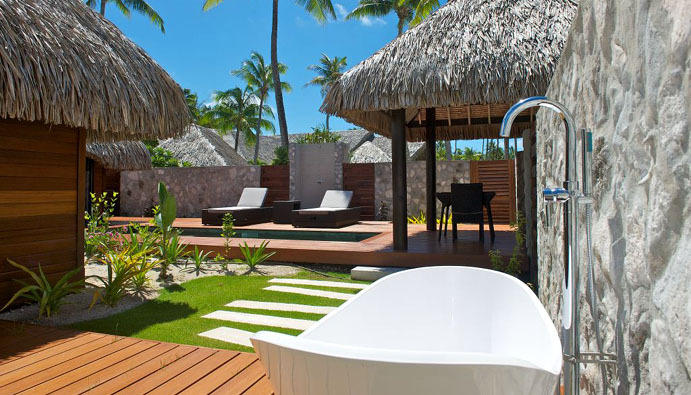 In addition to the facilities common to all rooms are bathtub with separate shower, ladder for a direct access to the lagoon and a glass floor. The largest unit of the property, one Villa with pool plus one separate lounge and one separate extra bedroom with bathroom as well as an extended sun deck. 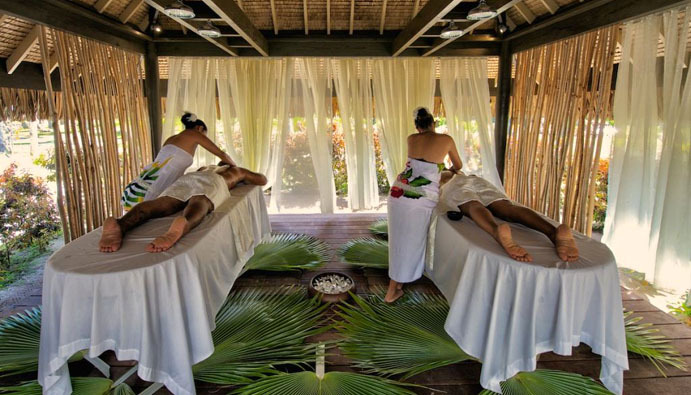 The Poekura Spa includes 2 double massage cabins and a vichy shower is nestled in the garden of the resort, and will offer a large range of massages & treatments (massages, face & body treatments, manicure, pedicure…). 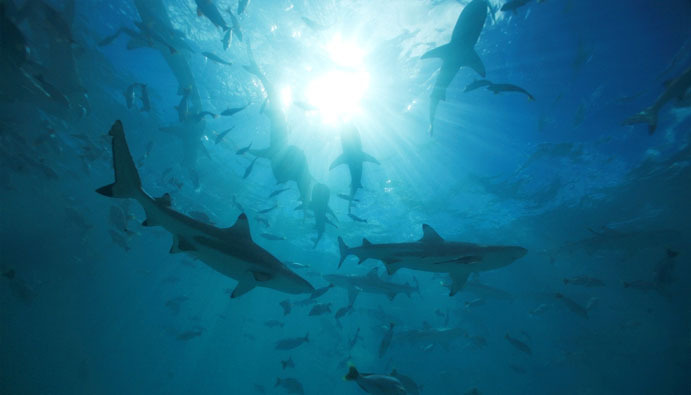 10H00 – 12H30 / 14H00 – 20H00. 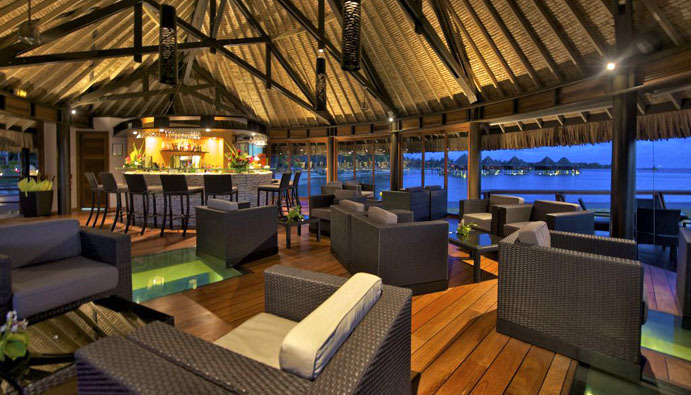 Hotel Kia Ora Resort & Spa is located on the northwest part of the atoll of Rangiroa, between the passes of Tiputa and Avatoru. 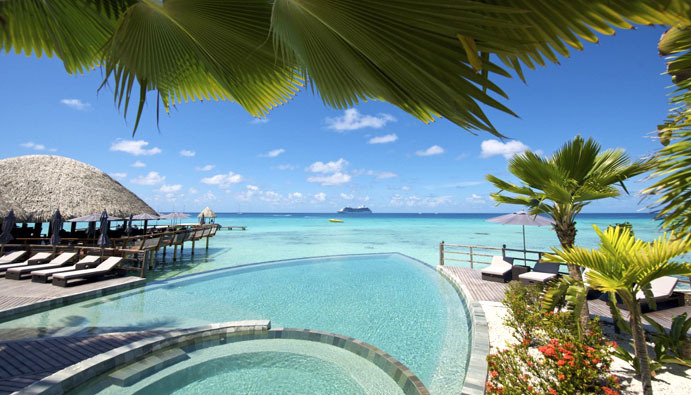 Nestled in the heart of a magnificent coconut plantation, bordered by a white sand beach and a turquoise lagoon, the hotel boasts an elegant and refined architecture in perfect harmony with its environment. 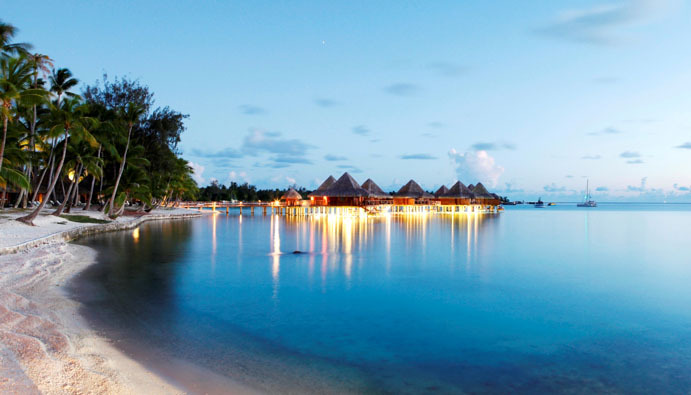 Since its complete renovation in 2011, the Hotel Kia Ora Resort & Spa includes 60 villas and bungalows with exceptional style, scattered throughout the coconut grove, on the beach an overlooking the lagoon. 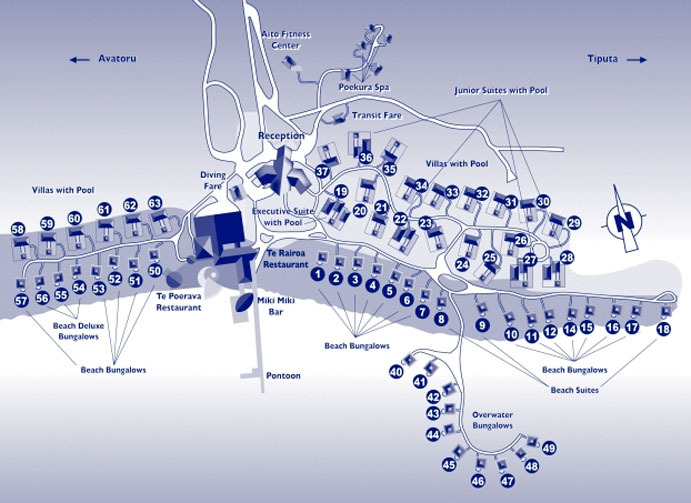 A spa with a rain shower and a fitness room completes the hotel facilities. 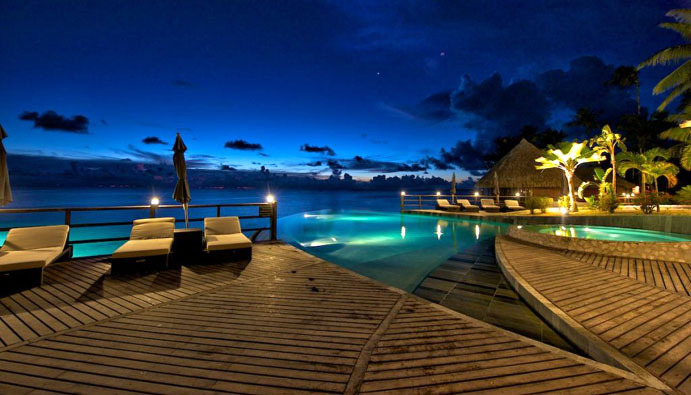 On the waterfront, a restaurant and a bar on stilts surround a swimming pool with Jacuzzi. 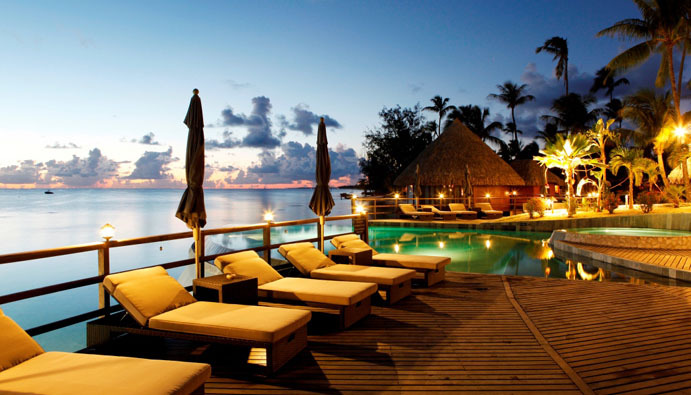 The perfect location to relax and unwind and to take in some diving and lagoon excursions.